Learn the art of Chinese Watercolour painting on tradition rice paper! Peng Wang is a Chinese Canadian visual artist who works in oils, watercolour and calligraphy. He believes that art making is a way of finding stillness and peace within the mind. 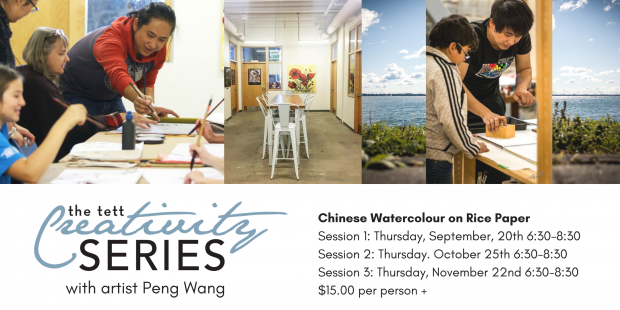 Peng is pleased to be offering a series of continuous classes in Chinese watercolour painting this Fall. Enjoy 3 sessions of painting and developing your skills. Plus, participants will have the opportunity to display their artwork at the Tett Centre. Register today!